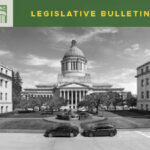 Bills to have the state pay for ballot return postage and also pay its proportional share of all elections—not just elections in odd-numbered years—continue to advance, and the Washington State Association of Counties continues to support these measures. This week, new bills came out which combine each of these policies into one bill. 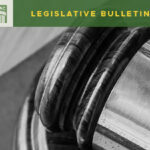 House Bill 1481 and Senate Bill 5500 would each have the state pay for return ballot postage and state costs associated with elections in all years, not just odd-numbered years. We are following these bills closely to get them enacted and also ensure that the funding promised by the state accompanies the new law. 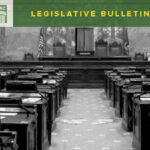 Both the Senate (SB 5163) and House (HB 1135) versions of the wrongful death bills have been passed out of their policy committees and are expected to be heard in fiscal committees this coming week (the Senate bill will be heard in the Committee on Ways & Means on Wednesday, February 6that 3:30 pm; no specific date has yet been set for the House version). 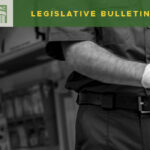 The Washington State Association of Counties continues to fight against expanded wrongful death tort liability as a matter of fairness and fiscal responsibility: WSAC has never opposed the inherent policy behind wrongful death claims; these stories are tragic and heartbreaking, and counties should be liable when responsible. We also believe that counties should pay to the extent they are liable, but they should not pay all of a claim where they are only partially (often, relatively minorly) at fault. We are likewise concerned about the retroactive application: it is one thing to change the law going forward, but it is quite another to open the counties up to liability for past claims. Retroactivity makes it extraordinarily difficult for counties to assess risk and plan budgets. And, of course, anything that the state adds to county liability makes local budgeting even harder at a time when counties are already facing fiscal difficulties. We will testify to oppose the present versions of these bills and highlight these issues.